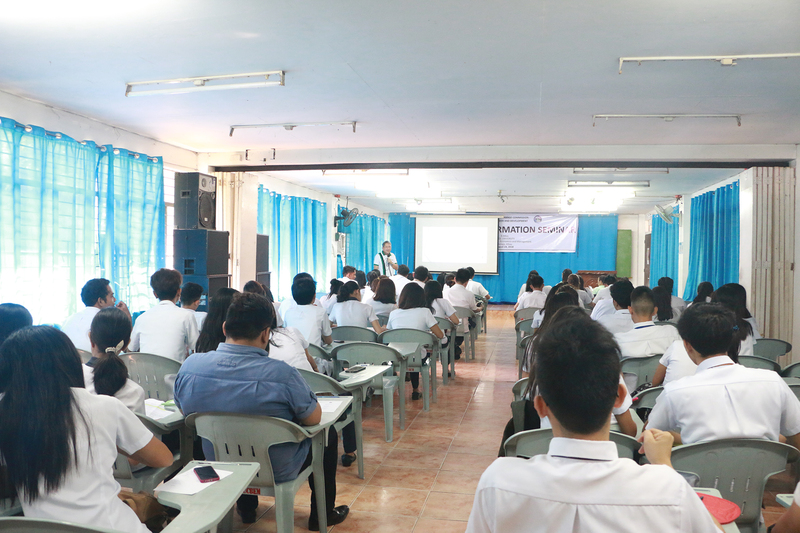 To spread timely knowledge about how to properly invest, and to educate on the significance of gender equality in the realm of investments, the Security and Exchange Commission (SEC) and Bicol University’s College of Business Economics and Management (BUCBEM) partnered in conducting the SEC-GAD Investor Information Seminar this August 24 at BUCBEM in Daraga, Albay. 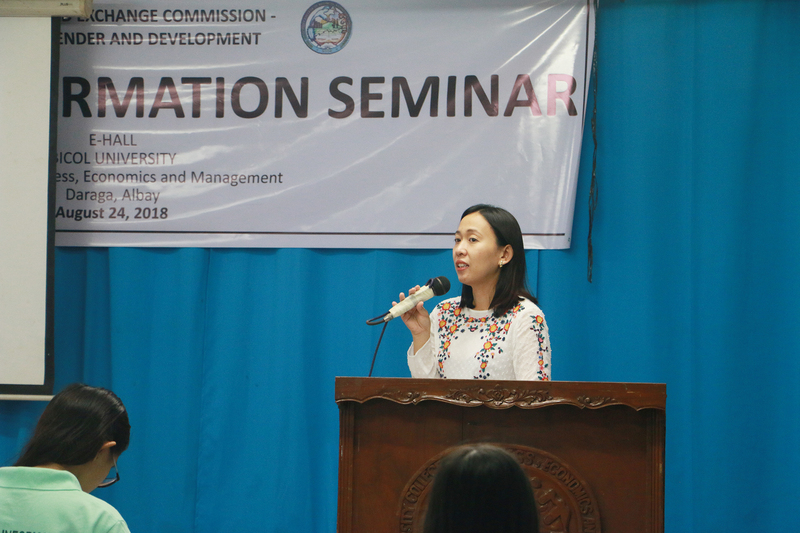 According to Ms. Ninna Celeste Orlina, Securities Specialist II of SEC Legazpi Extension Office (SEC-LEO), the purpose of the seminar is to have experts from the investment field share their knowledge to those potentially new in the said trade, for them to maximize their gains and protect themselves from scams. It is also meant to provide awareness on the role of gender and development (GAD) in the world of capital venture. Ms. Orlina also explained that the gathering in BUCBEM is part of a series of seminars which will be held across the country to achieve the said goal in a nationwide scale. 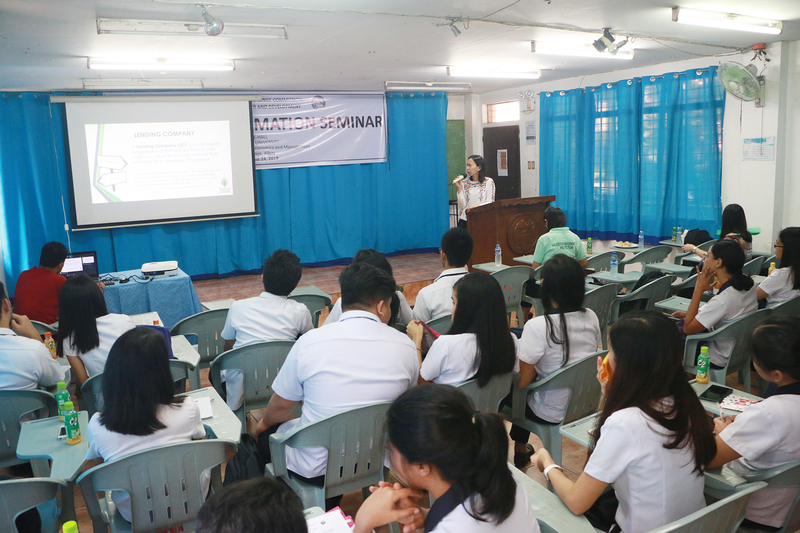 For the seminar in CBEM, the event was attended by around 80 students and faculty members. “It is particularly important for the students to know more about investments because, despite being considerably young, most of them are above 18 years old and are entitled to invest if they want to,” stated Ms. Orlina. She further said that the SEC-GAD Investor Information Seminars in Albay province are the first in the nationwide series of seminars. 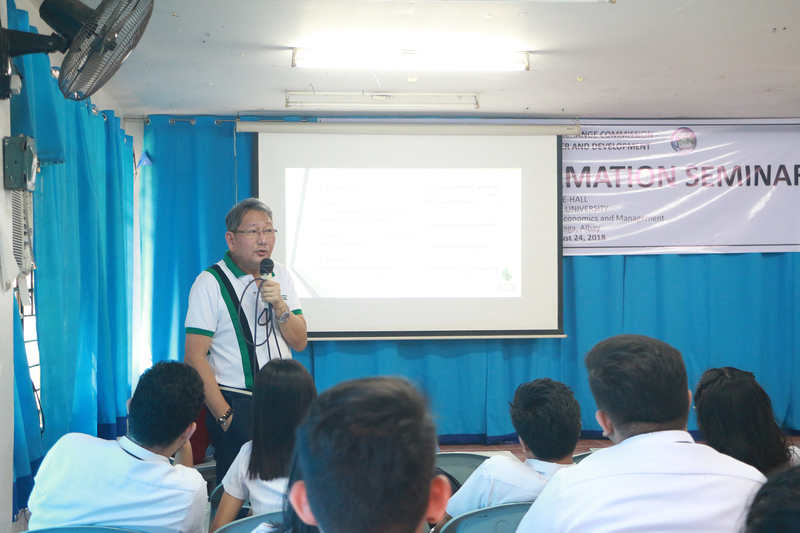 There are two of these seminars in Albay: one for the students and academe which was coordinated with the office of BUCBEM Dean Eddie See, and one for the barangay officials which was held at the Ibalong Centrum for Recreation in Legazpi City. The seminar In BUCBEM began with the Atty. Marylou Duka-Castillo, the Director of SEC-LEO, delivering the opening remarks for the said event. The discussions for the morning program of the seminar were on the Introduction to Finance Lending and Microfinance, which was done by Chief Council Atty. Miracle Anne Rodriguez of SEC’s Corporate Governance and Finance Department, and Investment Scams, which was tackled by Director Atty. Jose Aquino from the Enforcement and Investor Protection Department of SEC. During the afternoon, Atty. Aquino resumed his lecture, but this time it was on Crypto-Currencies. This was followed by a discussion about Investment Products, which was handled by Securities Examiner III Allysa Aycocho of SEC Markets and Securities Regulation Department. Last to lecture in the seminar was the SEC-GAD focal person Diane Elviña-Cortes, who talked about the rational and background of the program and the role of GAD in the capital market.